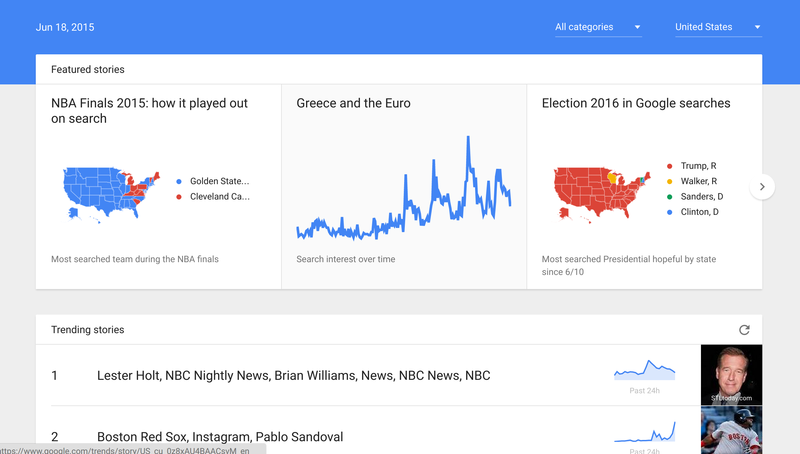 Google Trends has received a big redesign in what is its largest expansion since 2012. Perhaps the most striking change is the inclusion of real-time data. 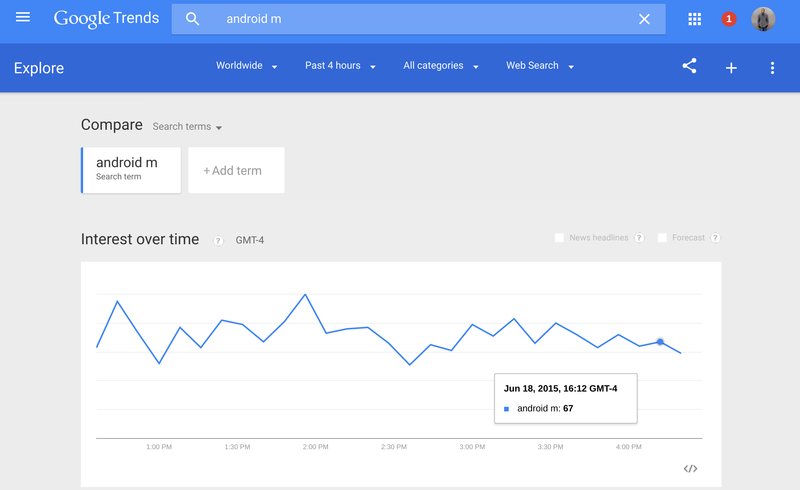 Users can now turn to Google Trends for minute-by-minute views at how people are currently using the web. 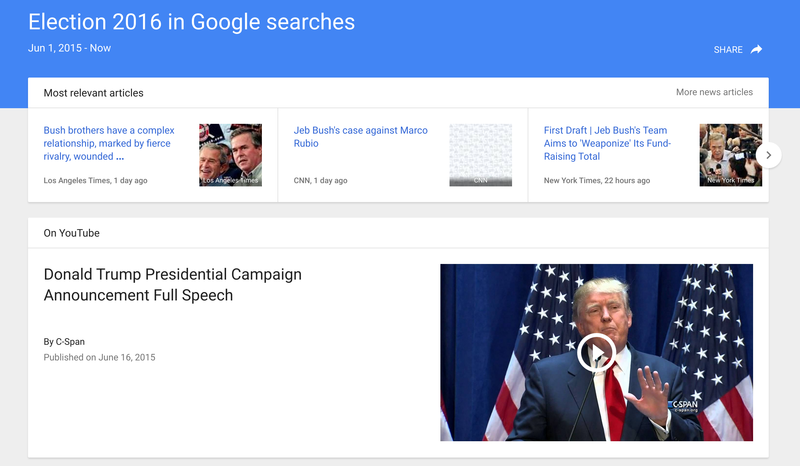 To make Trends a better tool for journalists and researchers, Google has added in the ability to search by more niche topics and smaller geographic areas. 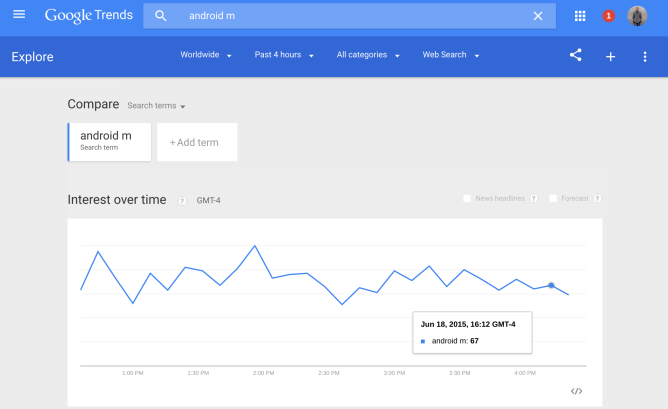 Not only can I see how many people in Virginia have searched for Android M in the past few hours, I can compare views between the people in the Roanoke Valley with those in the DC suburbs. I could then contrast this with the number of views in Sicily, Italy. 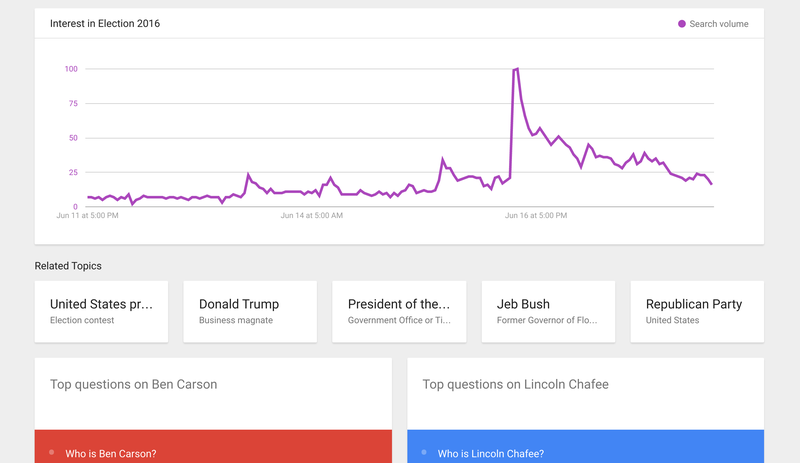 The new Google Trends isn't just about providing specifics, it continues to package this information in a way that makes the raw data more accessible. The redesigned homepage will show how much interest was generated by recent events such as sports games, and it also maps trends over time. The Election 2016 map at the moment shows an overwhelming interest in Donald Trump, but few would expect this trend to remain the same one year from now. 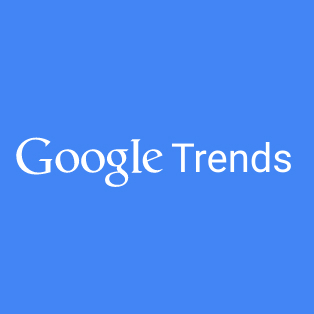 The updated version of Google Trends is available now in 28 countries. You can get more information at the source link below.